This super quick and wonderfully fresh, green chutney can be made in a few minutes. It serves as a great accompaniment for many savoury dishes like samosas and pakoras. You could even use it as a spread for sandwiches. In a food processor, grind together the coconut, coriander, chilli along with the cumin and salt until the mixture is smooth and feels like velvet to touch. Add a squeeze of lime and adjust the salt, if required. 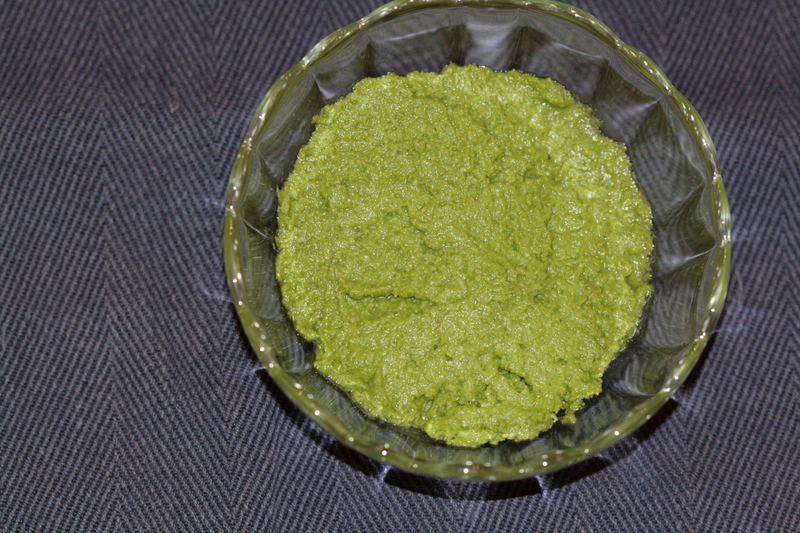 The coconut and coriander chutney can be eaten straight away. This also keeps well in the fridge for 2-3 days. This entry was posted in Festive food and tagged Chutney, coconut, coconut chutney, coriander, coriander chutney, epicurious, green chutney, sandwich spread. Bookmark the permalink.